As every good seamstress knows, it's not only what's on the outside that counts - the inside of your garment should be just as neatly finished as the outside. Paying attention to seams, hems and linings not only makes for a garment finished to a couture standard, which we find very satisfying, it also makes for a garment that will last longer. And that's the whole point really - we are rebelling against throw away fashion. If left to their own devices, an unfinished seam will quickly fray and eventually split. Not cool. 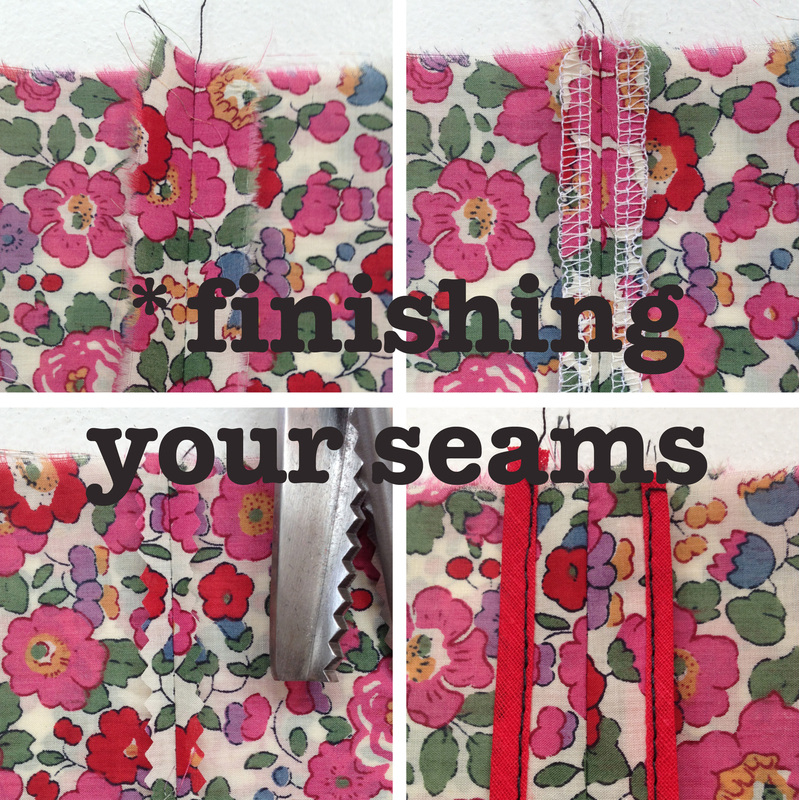 So what exactly do we mean by "finishing a seam"? When you finish your seams, you are basically securing and neatening the raw edged excess seam allowance exposed on the inside of your garment, essentially preventing them from fraying. In this tutorial we will cover three basic techniques - overlocking/serging, pinking and binding. Please stay tuned for more advanced techniques such as French seams and flat-felled seams - tutorials coming soon! 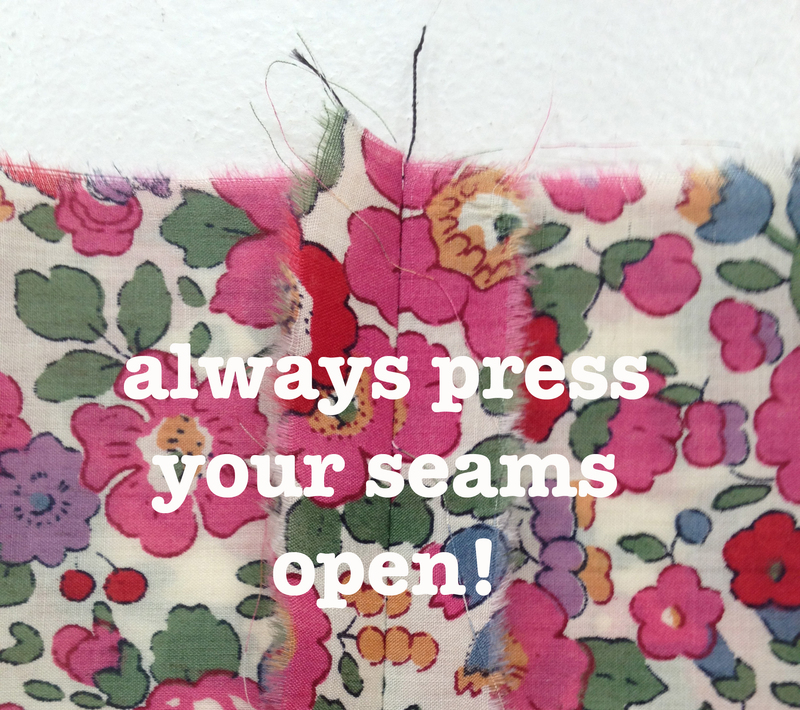 First things first: after you have stitched your seam (assuming you have used a 5/8"/15mm seam allowance) and before you apply any of the following techniques, the cardinal rule of seam finishing - press your seam open! Done? OK, let's begin. Our personal favourite method. Quick and professional, but you need to either own an overlocker/serger or have a fancy sewing machine with a similar stitch. If you don't own an overlocker, but fancy yourself as a competent budding seamstress, we highly recommend the investment. We use a Janome 9200D. 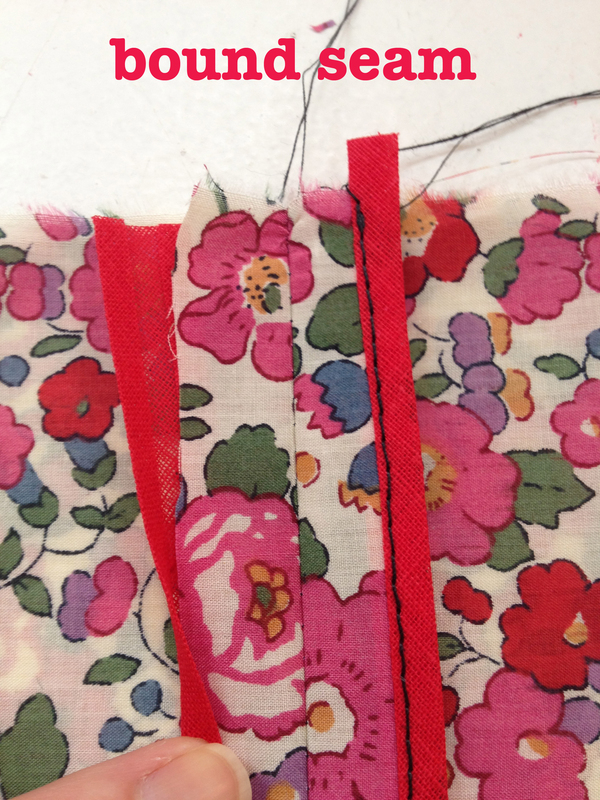 Simply feed each length of excess seam allowance through your overlocker. 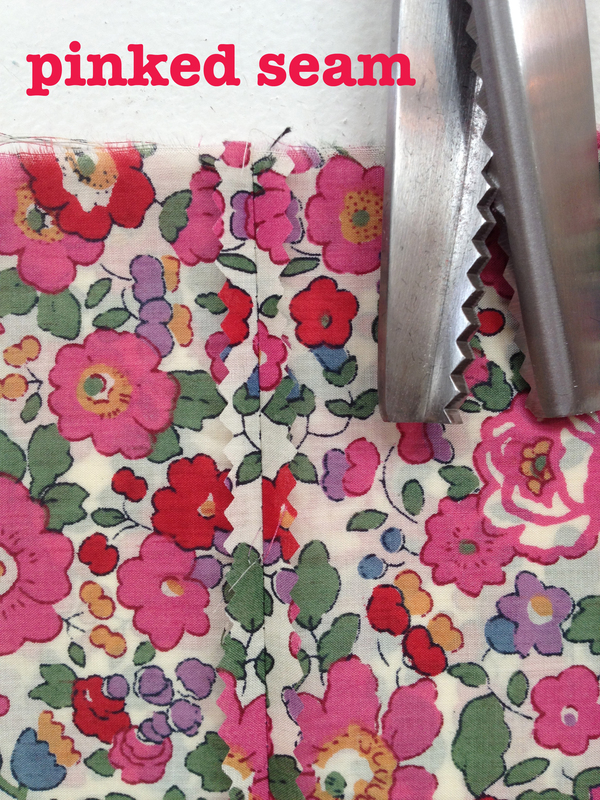 The knife will snip away any excess fabric and the overlocked stitch will prevent any fraying. And we think it looks super profesh too. "Pinking" basically just means trimming away the excess fabric with pinking shears (zigzag scissors!). This is not the most secure way to finish your seams, but it will prevent the fabric from fraying more so than doing nothing. 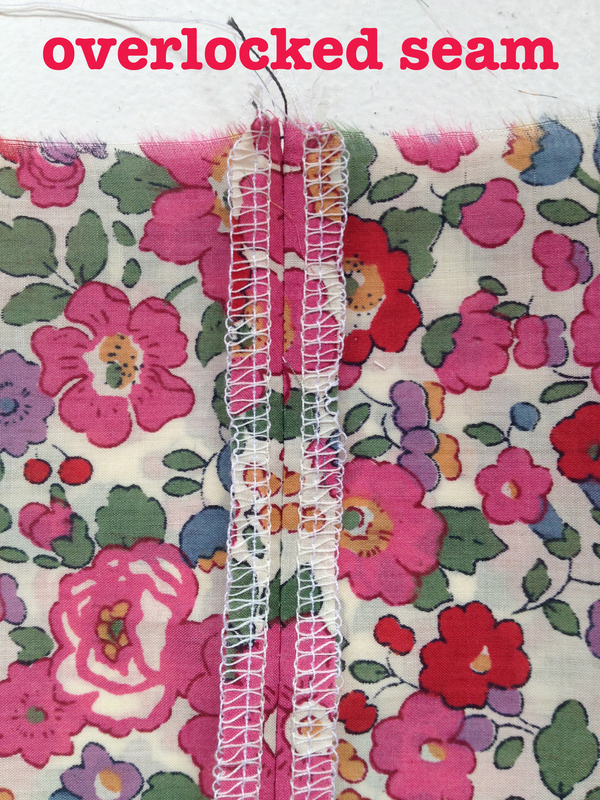 This method can be seen in a lot of vintage home-sewn garments, when domestic overlockers weren't as available or affordable as they are today. Using bias binding to ensconce the raw edges, a bound seam is the most secure. However, we do not recommend this method for lightweight or drapey fabrics as it will add unwanted weight to the seams. Keep up with us for more technique tutorials coming soon, as well as more great fashion hacks and sneaky peaks of our debut sewing pattern collection!! Can you serge the edges of the skirt before you sew them together? Thanks! Hope it’s helpful – and if you have any questions or suggestions, don’t hesitate to get in touch. More advanced techniques coming soon! Thanks, this is helpful info. Looking forward for more nerdy sewing tips! thank you! i am still learning about seam finishes and this is a great post! Im loving this, It couldnt have come at a better time either. Im just doing a skirt and was looking at it and decided to learn how to do some decent seam finishes.